Blender Nation has been one of the really great rigged up characters available for use in Blender, mancandy. It’s very useful for people who want to focus on backgrounds or learn how to create a semi-realistic humanoid and rig. After seeing this story about different pictures people created with mancandy, I decided to give it a shot. 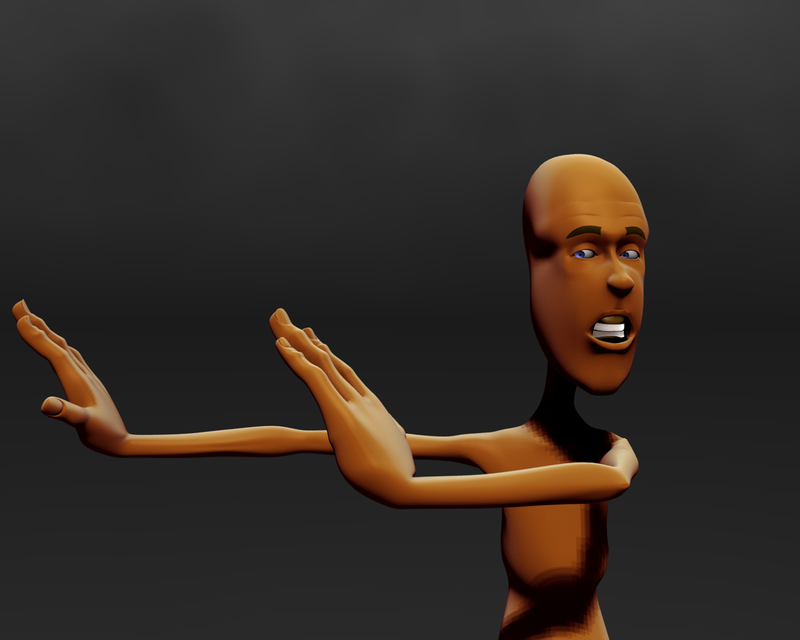 It’s a very well rigged character and I think I will use it to practice facial expressions and body language. I only played for about 5 minutes, so I know there’s lots I’m not taking advantage of, but here’s my best shot. It’s now my Windows background image. Link is to a background-sized image.